Gallery management youths plan night full of art and music at Reynolds High School. Not too many high schools have a modern art gallery, and even fewer have a class in gallery management. Reynolds High School has both. 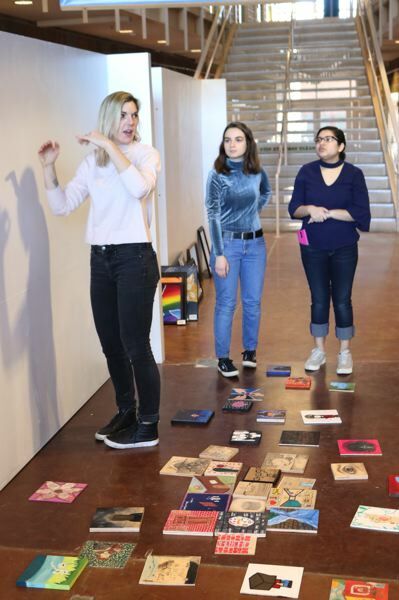 The five gallery management students are busy organizing Reynolds' annual art auction night, which will take place from 5:30-8 p.m. Thursday, March 8, and hanging art for the show. They also have just committed to participating in a national project creating works to be displayed at the Portland Art Museum. Teacher Katie Sullivan noted the auction will be a highlight of Reynolds' art activities. "We have some interesting stuff this year," she said. One part of the show features a series of drawn and painted wood panels created by students in all Reynolds art classes. The student artists were encouraged to respond to the theme "Walls That Confine Us." These works will be sold at the auction for $10 each. Many other creations from students, staff and community artists will be represented in the art sale. Proceeds from the event support the gallery, pay for art supplies and provide scholarships for graduating visual arts students. The gallery management students put on several shows a year at Reynolds Gallery of Contemporary Art, or RoCA. The students created the gallery's website and manage its social media accounts. Sullivan brings in speakers to discuss the real world of gallery management. 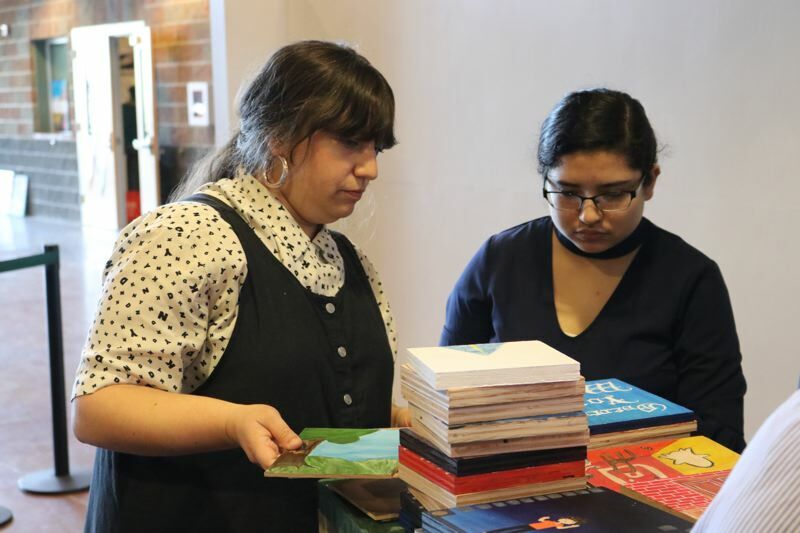 Recently, professional artists and curators Libby Werbell and Erica Thomas visited the school to help with installations for the auction and discussed their work as curators and artists. The gallery management course covers the business aspects of running a gallery or museum, teaching students how to curate, manage and market an art gallery and use various software and social media platforms. Students also work with local artists and buyers and study art history. The gallery management class, part of the larger Independent Art course, is designed for students interested in the field of promoting and managing in the art business.